Start your day off right with a quick activity to get your brain in gear. 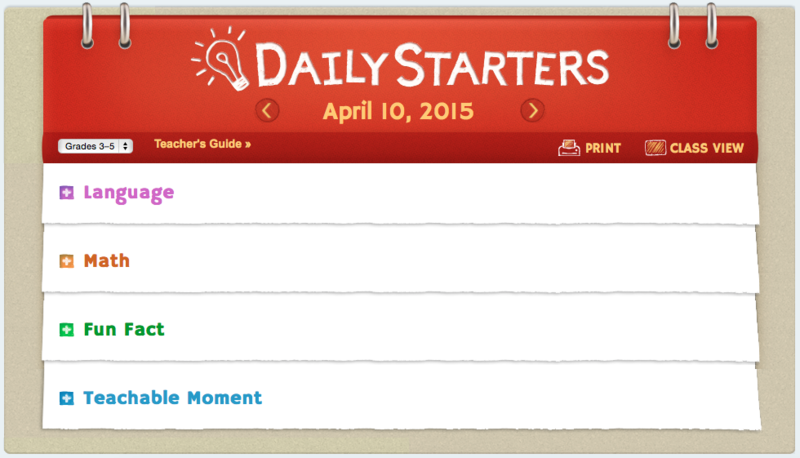 Every weekday, Scholastic Daily Starter puts up a new Literacy challenge, Maths problem and fun fact. You can change the Grade range to suit your learning.